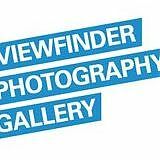 The Viewfinder Photography Gallery is delighted to announce that they are creating the Thames Trail, an interactive photowalk with an accompanying phone app that will encourage the local community and visitors to explore the industrial, shipbuilding and trading heritage of Greenwich, from its 19th century heyday to the present. Work on developing the Thames Trail has already started – the photowalk will launch in June 2013, with the resources available online until at least 2018. The project is being funded by a £16,400 grant from the Heritage Lottery Fund (HLF). The photowalk will begin at the Cutty Sark and follow the riverside path past the O2 Arena to the Thames Barriers. Many wharves, jetties and other signs of the industrial past remain, often unknown and unnoticed, yet they tell an important story about the river and Greenwich itself. Archive material from Greenwich Heritage Centre, including paintings, photographs, maps and industrial documents, as well as specially commissioned interviews with local historians and residents, will enable participants to imagine what the area was once like, to see how it has changed and how it continues to evolve. The Thames Trail will document the evolving nature of the riverside. Regeneration and development are rapidly changing Greenwich’s waterfront and shifting it from an industrial to residential and commercial area. Whilst on the photowalk, participants will be encouraged to take their own photographs of the riverscape as it is today – these photos will be published on the Viewfinder’s website. Opportunities so far have included testing the photowalk route, contributing to interviews – we are delighted to report that Eliott Wragg and Helen Johnston (Greenwich FROG) have both been interviewed – learning to use research archives or conducting independent research, selecting archive material for use in the Thames Trail app and contributing to the Thames Trail blog. In February and March 2013, volunteers will test the accompanying app and assist in promoting the project. To get involved in the Thames Trail, please email Louise.